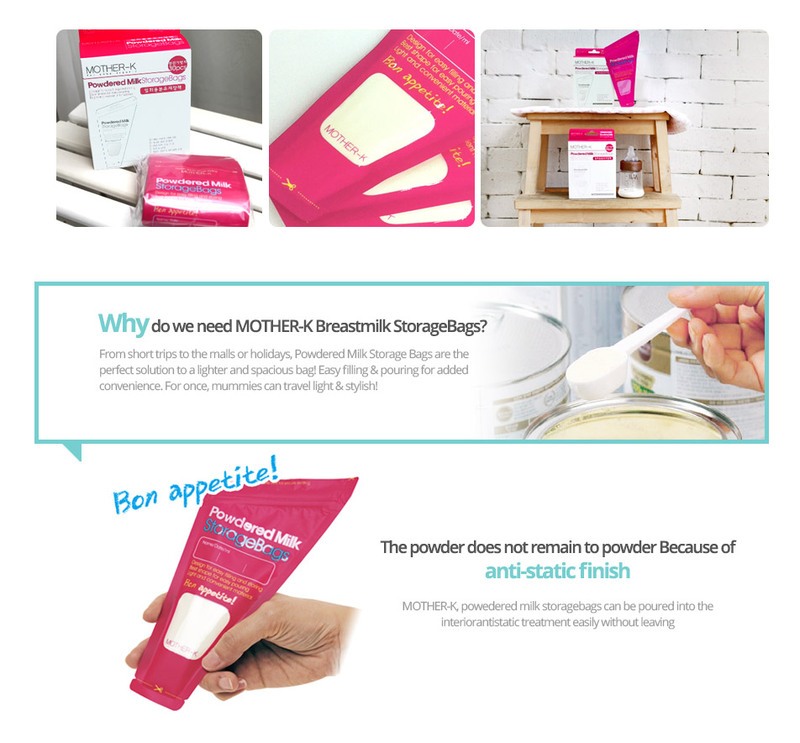 Anti static material inside of bag prevents milk powder from sticking to surface for easy pouring into bottle. Wide neck design for easy filling & storing/Funnel shape for easy pouring. Light weight vs. bringing out bulky containers saves space & weight. Click the button below to add the Mother-K Powdered Milk Storage Bag - 30pcs to your wish list.